Our distinguished guest will be Miss Heather Kendrick, Miss Michigan (2017-18) and Executive Director of M-Prize, the University of Michigan’s annual competition that spotlights the virtuosity of today’s young musicians. An accomplished violinist and Interlochen scholar, Miss Kendrick will also recount her journey through the pageant world; a journey that brought her Michigan’s highest beauty crown, and even to Atlantic City, where she competed to become Miss America. 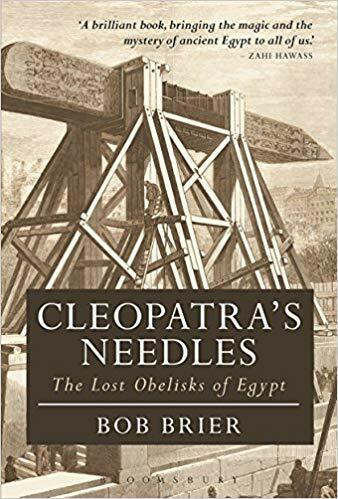 World-renowned Egyptologist, Dr. Bob Brier, will join us to highlight his latest book, Cleopatra’s Needles: The Lost Obelisks of Egypt, published by Bloomsbury. Admired by his peers and the public as “Mr. Mummy’, Dr. Brier is a Senior Research Fellow at Long Island University-Post (Brookville, New York), and one of the world’s foremost experts on mummification. If you’re fascinated with the art and civilization of ancient Egypt, don’t miss this interview.